Tryouts are set for 5:30 PM WED MAY 1 at Vanguard University, 55 Fair Drive, Costa Mesa, and for 9 AM SAT MAY 4 at Brea Olinda High School, 789 Wildcat Way, Brea. First off, the team will play 13 league games (two games a week) in the top USA Premier Baseball 18U AABC Connie Mack wood bat league at various Orange County high school and college fields, including the new OC Great Park Sports Complex. 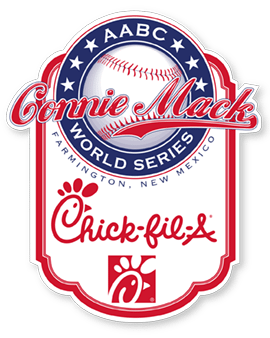 Besides league and playoff games, Blue Wave-Senators will play in the following two events leading up to the AAA Connie Mack World Series in Farmington, New Mexico in August. June 28-July 4 USA Premier Firecracker Classic is the top competitive tournament of the summer in SoCal with more than 200 teams from throughout the nation attending each year. Plenty of scouts and recruiters for semi-final and championship games. All games played on top high school and college fields. July 18-20 AABC Connie Mack Regional is for teams that have advanced through local and state playoffs to compete for berths in the Connie Mack World Series Starting July 25 in Farmington, New Mexico. Blue Wave has an automatic berth in the Regional this year due to winning the 2018 USA Premier Christmas Classic tournament last December. Winner advances with paid berth and $10,000 in team travel funds to the World Series. 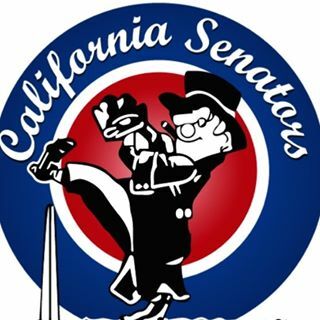 Blue Wave-Senators 18U is coached by Rich Pohle, one of the leading private baseball trainers and coaches in Southern California, as well as a scout for the Seattle Mariners. Besides helping coach the local Mariners scout team, he is currently the assistant varsity coach for Brea Olinda High School, and trains athletes full-time in hitting, fielding, strength and conditioning. 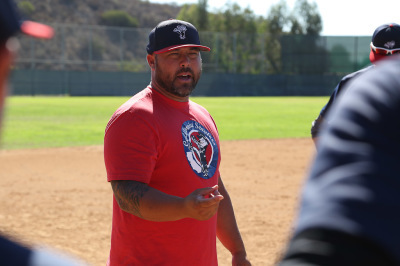 He is founder and head of Player Development for the California Senators, as well as a former Blue Wave head coach for many years, his Blue Wave 18U teams won the Under Armour Southwest Championships in 2011, finished 2nd in 2012, and won again in 2013. Since then, Coach Pohle’s California Senators have won the Cory Lidle Memorial Tournament twice. Pohle played several years for the Phillies and Seattle Mariners minor league teams, as well as the Orange County Flyers in the Golden Baseball League, where he was team MVP and a league All-Star. He started his baseball career at Buena Park High School, where he was first team All-Conference and an All-Star. Coach Pohle then played at Cypress College and at Fullerton College before going pro. Over the years, hundreds of his students have gone on to play college baseball, with dozens playing professional baseball as well. “Rich Pohle is a coach you want to play for, he makes everyone better that does,” Blue Wave GM Steve Kruse noted. Price is $895 for position players and $195 for a “Pitcher Only.” Player Fee includes all tournaments, games and practice sessions in June and July. Expect to play 21+ games. Secure your position with $195 deposit that is fully refundable prior to June 1. Remaining fees must be paid prior to June 1 to guarantee position on the team.